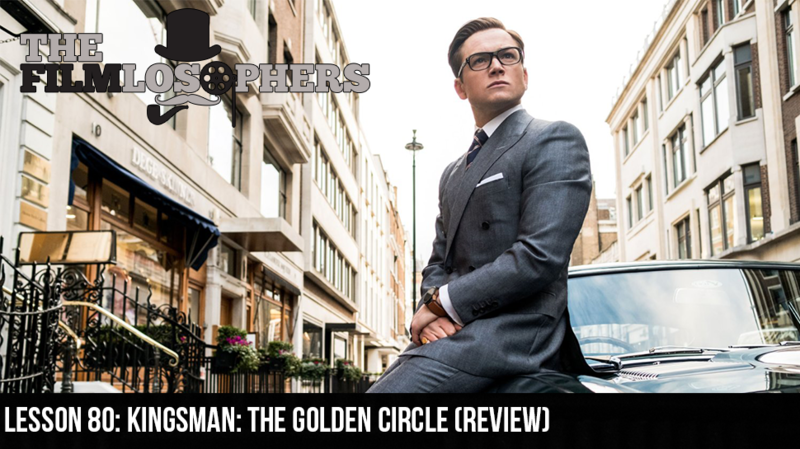 The Filmlosophers, Eddie Villanueva and Chad Riley, don their bespoke suits and dress it up for this week’s review of Kingsman: The Golden Circle (2017), starring Taron Egerton, Mark Strong, Colin Firth and Julianne Moore. With guest starring turns from Channing Tatum, Halle Berry, Pedro Pascal and Jeff Bridges – not to mention a series of cameos from Elton John – the film marks the first sequel of director Matthew Vaughn’s career. In movie news, we briefly preview one of the weekend’s other debuts, The Lego Ninjago Movie (2017).